Instructional decisions depend principally on the results of assessment in any of the education system. But for the purpose, authentic representation i.e., direct alignment between the predetermined learning objectives and assessment tasks of the instructional system is essential. However, the weak linkage of the given two factors in instruction, makes ‘validity of results’ as well as resultant certification, questionable. The current study was, therefore, conducted to address the issue of alignment in learning objectives and tests, for assessing authentic representation of learning outcomes in tests being used for appraisal of teacher education. The accessible population consists of the tests developed and conducted for assessment of the prospective teachers by the teacher educators of public sector universities. A ‘Frame for Assessing Alignment of Tests’ (FAAT) was developed for data collection. 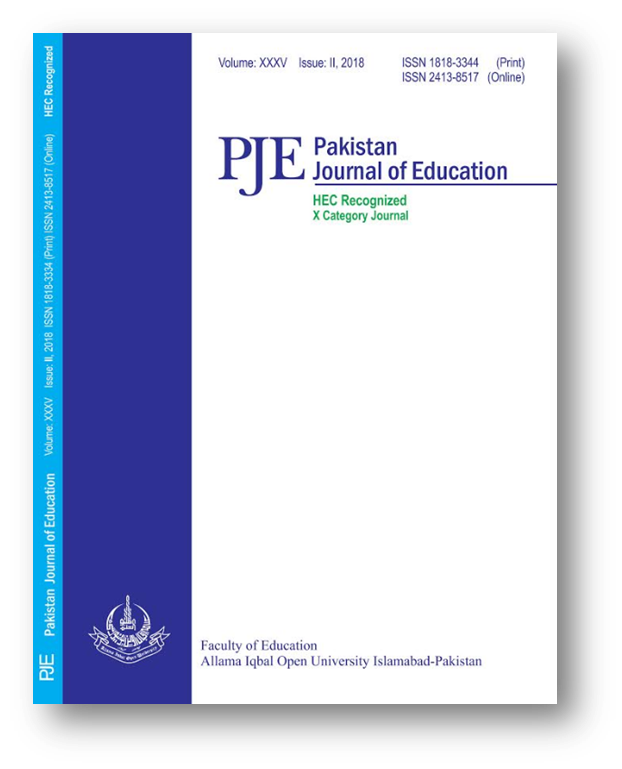 This frame consists of two sub-frames i.e., FAAT-I, for collecting data from the teacher educators; and FAAT-II, for experts’ judgements to determine the level of alignment in learning outcomes and tests tasks. Data were collected on 36 tests, developed by the 18 teacher educators, in the form of teacher educators’ perceptions about the linkage and experts’ judgement to endorse the educators’ reported linkage or otherwise. The results showed that there is a partial evidence of authentic representation of learning outcomes in the tests tasks being used in teacher education programs.